Growing up, my favorite board game was Monopoly. I liked it because if you had $750, you could buy both of the most expensive properties on the board, Boardwalk and Park Place. But course, Monopoly’s just a game. Now, however,just like in Monopoly, you can access private real estate investments with only $500 – $1,000. You Can Now Invest in Real Estate With $500 – $1,000. In the old days, you needed a lot of money to invest in real estate. $500 or $1,000 would not have cut it. But thanks to advances in technology, real estate investing has become democratized. Now, if you have $500 or $1,000 in your pocket, you can get started investing in real estate. Here are our top 3 ways to invest in real estate with $500 – $1,000. 1. Invest with Fundrise ($500 Minimum). I’m a landlord. My first investment was the mythical “house hack,” a 4-unit property I purchased using FHA 3.5%-down financing. And landlording’s great! I still hold that 4-unit as well as another rental property, and they have been very good to me. But landlording has a major drawback, namely, the amount of time it takes. See, I get a better financial return on my time by working on this blog you’re reading right now than I do by landlording. Read: How We Make Over $10,000 Every Month With This Blog. I also get a better return on my time by servicing my CPA clients. So rather than spending dozens of my valuable hours on Redfin or Zillow looking for properties I probably won’t even buy, I’d rather invest in hassle-free real estate deals that are way better than what I could find on my own. So how do I invest in great real estate deals without being a landlord? Fundrise is the first private market real estate investing platform. By combining technology with new federal regulations, Fundrise lets you invest in the once-unattainable world of private investments. Click here to sign up to see Fundrise’s latest investment opportunities. Better Deals Than I Could Find On My Own. Fundrise lets everyday investors like you and me invest in top deals across the nation — way better deals than I could find on my own. Don’t get me wrong; I love the properties I own and landlord. But they weren’t by any means incredible deals. I simply didn’t have the investment capital (we’re talking 7 and 8 figures) to access top deals like Fundrise does. An extremely attractive feature of Fundrise is instant diversification. For example, through Fundrise, I am invested in multifamily in Arizona, Colorado, Florida, Georgia, Michigan, South Carolina, Texas, and Virginia. And I am also invested in loans funding deals in Los Angeles, Phoenix, and San Diego. Also, because Fundrise invests in large assets with many units, you get economies of scale. If you own a single-family home, and you lose your tenant, you’re out of luck. If you own a 4-unit, and you lose a tenant, you’re still making money. 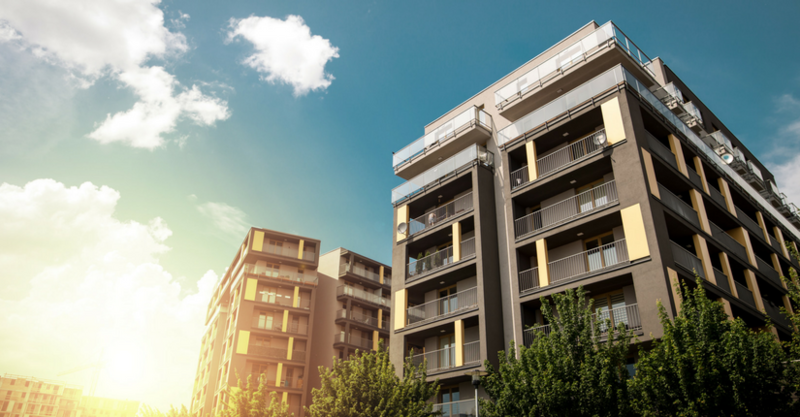 But if you own a 100-unit apartment building, and you lose a tenant, there’s a professional management company on-site ready to show the unit immediately to minimize your vacancy losses. Get Started With Only $500! This is why I love investing in Fundrise: I get to invest as little as $500 into deals previously reserved for the richest of the rich. Fundrise also offers a money-back guarantee. For the first 90 days of your investment, they will buy your investment back at the original investment amount if for any reason you are not satisfied. 2. Invest in REITs with Ally Invest. There are plenty of great places where you can invest in real estate company stocks, but the one that’s getting us hot and bothered at the moment is Ally Invest. 1. Click here to open a FREE Ally Invest account. 2. After you create your account, click on “Investments” in the top menu bar. 3. Then click on “Quotes & Research”. 4. Then click the “Sectors & Industries” tab. 5. 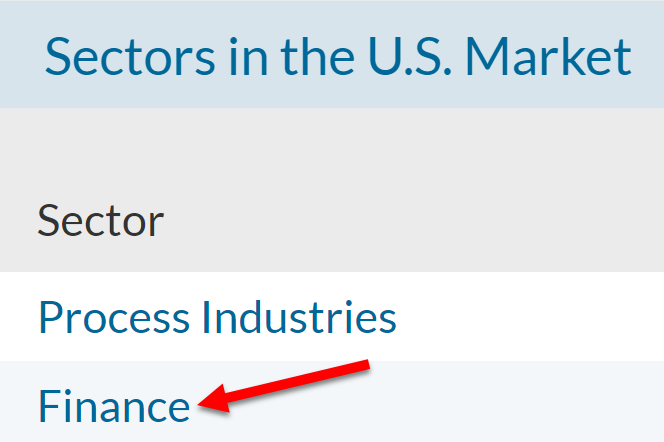 Then click “Finance” under “Sectors in the U.S. Market”. 6. Then click “Real Estate Investment Trusts” under “Industries in the Finance Sector”. 7. You will now be given a list of all the REITs that you can invest in. 8. By clicking on one of the REITs names, you can learn more about it and also purchase its stock. Click here to open a FREE Ally Invest account and start investing in real estate investment trusts (REITs)! 3. Upgrade your spare room and list it on Airbnb. Consumer-lending startup Earnest recently did a study of the “gig economy,” which is the new phrase for making money on the side. Earnest compared the average monthly users’ earnings on various “gig startups” such as Airbnb, Uber, Lyft, TaskRabbit, and Etsy. And guess which users’ earnings were #1? That’s right. Airbnb. And they won by a long shot. The average Airbnb host makes more than 2x in the average month what the average Lyft driver makes. Click here to find out what Airbnb hosts in your area are making. And the beautiful thing about Airbnb is that it’s not as time-intensive as other kinds of side gigs. You are not making $X per hour, trading in hours for dollars just like at the old J-O-B. You are listing space for others to use, and as everyone knows here at Money Done Right, listing space is an amazing way to generate passive income, or income that is favorably disproportionate to the amount of time you invest in the activity. So while Mr. Lyft Driver is spending hours driving around people in varying states of sobriety, Ms. Airbnb Host is making money in her sleep — and making twice what Mr. Lyft Driver’s making, on average. So if you’re anything like me, you’re curious as to how you can get a piece of the Airbnb pie. Read on. ? I have $500 sitting at home. I would like to invest it in a stock market or something that would multiple my money rather than just sitting and being the samw amount. I live in a small town called Madera CA. I would like to be guided on how this works where should i ask for questions and whats best for me. Do you get a K-1 for your investments every year? Great question! I’ll answer this question for each of the investments mentioned in the article. (1) Fundrise: yes, you may receive a Schedule K-1, depending on which investments you choose. However, if you invest in the “Starter Portfolio” with the $500 minimum, you will not receive a Schedule K-1. You will receive a 1099-DIV to the extent you received distributions and a 1099-B to the extent your shares were redeemed. (2) Stash: you will generally not a receive a Schedule K-1 for Stash investments. You would generally receive a 1099-DIV to the extent you received distributions and a 1099-B to the extent you sold Stash shares. (3) Airbnb: you will not receive a Schedule K-1 for Airbnb earnings. You may receive a Form 1099-K if your Airbnb earnings exceeded $20,000 and you had more than 200 reservations. You said early in the article that you have real estate investments in several states. Does this mean you have to file a state tax return for all of those states (the ones that tax income) every year? Great question! I personally file in California (my home state), Arizona, North Carolina, and Tennessee. However, these are for real estate investments not mentioned in the article. For my Fundrise and Stash accounts, I only receive 1099s, so I do not have additional filing requirements due to these investments. Also, I do not personally use Airbnb to rent out rooms, but if you were to Airbnb property in another state, you may very well have a filing requirement in that state! I thought Tennessee didn’t tax income. Tennessee does not tax salaries and wages, but it does tax interest and dividends, and since we have Tennessee-sourced interest income, we have to file unfortunately. These are good options. It should be mentioned that Fundrise offers REIT’s, but these REIT’s — unlike those you described — are not listed on stock exchanges. Therefore, their price is not determined by daily trading in an auction environment, which means they should be offered at a price that is closer to the underlying value of the properties in the portfolios. The drawback to unlisted REIT’s is that they are not traded daily, so you’re giving up some liquidity, but I believe Fundrise has some provisions in their investor agreements that allow shares to be easily sold back to Fundrise. Another one is Realty Mogul, which also offers some REIT’s for investors who are starting with small portfolios, in addition to the private placements that are offered on their platform for accredited investors.